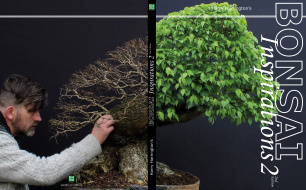 Over a weekend at the end of May 2018, I had the pleasure of visiting renowned Swedish bonsai potters Thor Holvila and Carina Jern at their home in Gothenburg, Sweden. 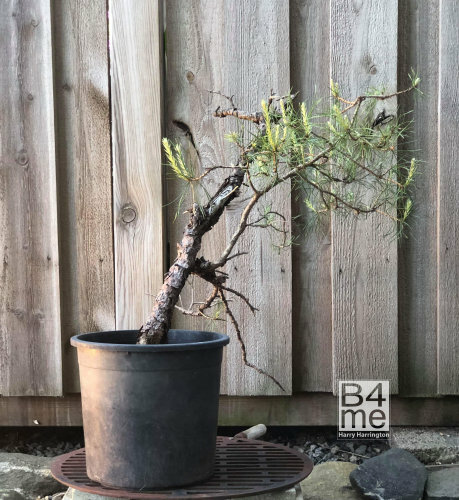 My primary purpose was to collect some pots from Thor to bring back to the UK but the weekend ended up being something of a 'Bonsai Intensive' with a lot of styling work and yamadori hunting in the many wild areas around the Gothenburg area. The article that follows is a short account of that weekend! 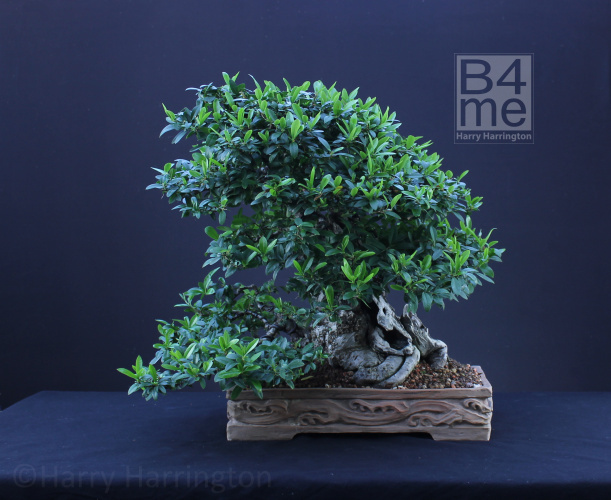 Thor and I have collabarated on a few projects in the past, for instance, this combination of my Privet bonsai (Ligustrum) and Thor's pot in 2016. 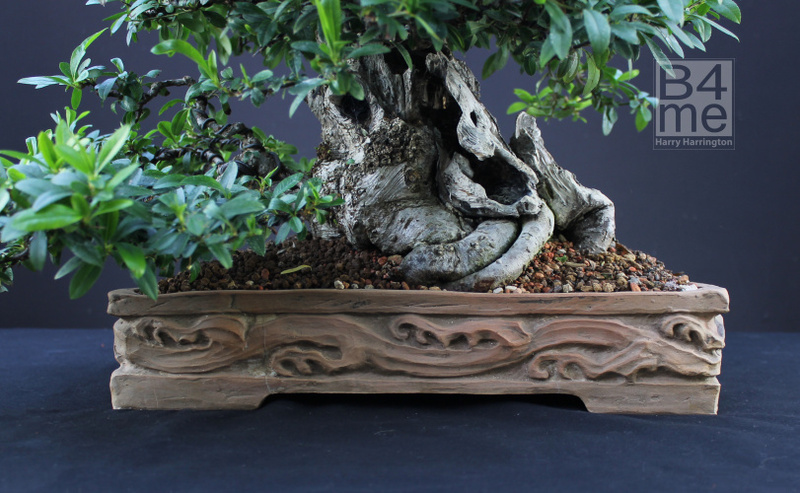 Detail of the Privet bonsai pot. And this Pyracantha bonsai of mine that Thor made a pot for. Detail of the Pyracantha pot. Thor lives on the side of a mountain above Gothenburg, on our first morning we walked to the top of the mountain and visited one of the many natural lakes. 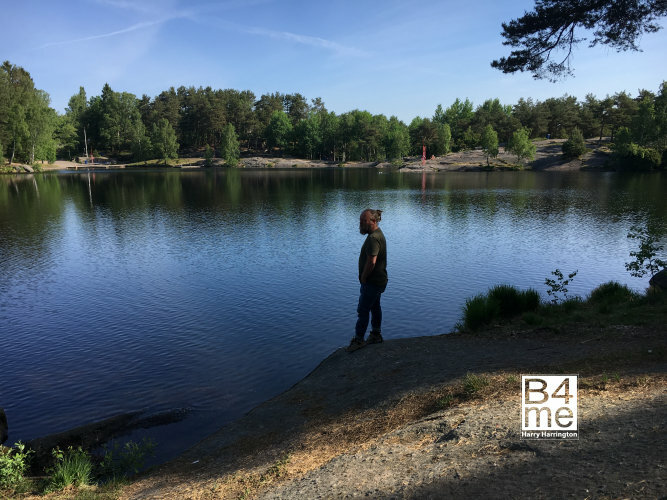 Despite an unusually warm May in Sweden, the water was cold enough to take my breath away! 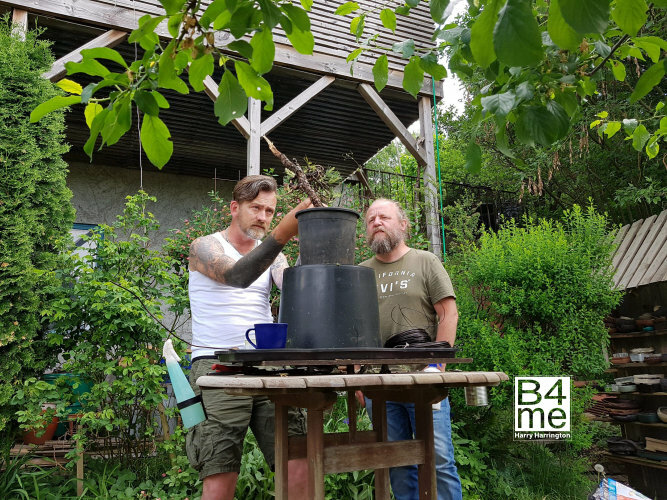 Back in Thors garden, we took a look at the trees he has been collecting over the past 5 years. Predominantly Scots Pine and Spruce, the trees have been collected from a number of locations by Thor. This newly collected tree is 2-3 years away from being worked on but had the most fantastic coiled trunk! 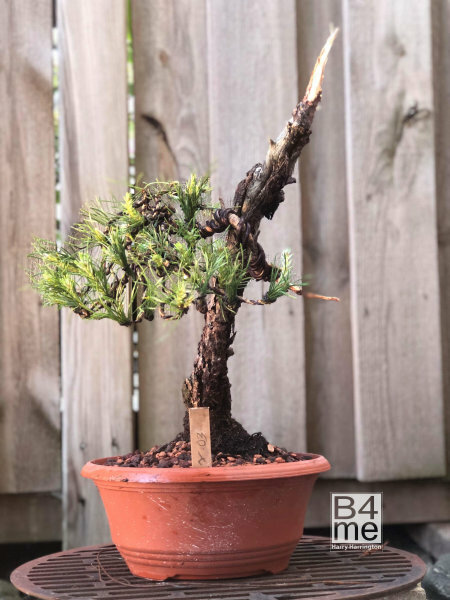 Thor also had yamadori Scots Pine that he had collected a number of years before and that were showing good signs of health. We decided that I would illustrate how the more challenging material could still be used for bonsai. This particular tree had just one live branch that had needles a distance away from the trunk itself. Material such as this can be very difficult to successfully style; it is however possible. Showing Thor how to bring the branches back towards the trunk and how to compress the foliage. 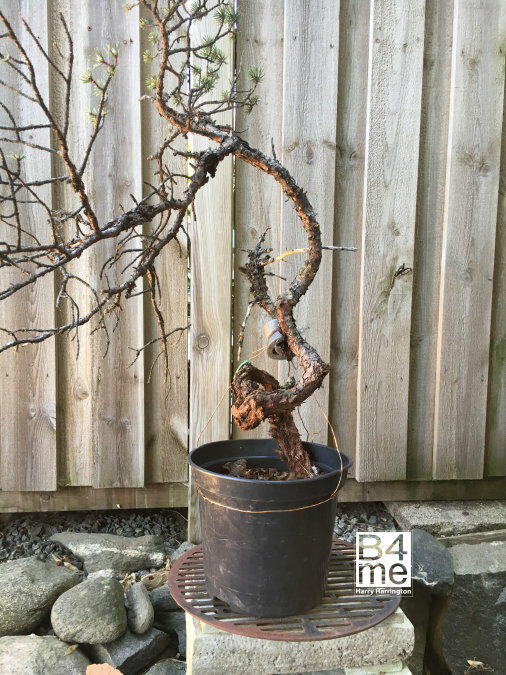 The same Scots Pine after wiring and styling. Very little of the original foliage was removed; it was simply brought back towards the trunk and laid out. 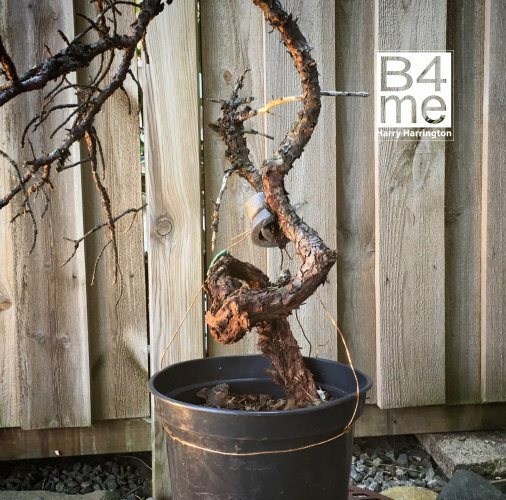 The tree itself was carefully lifted from its original pot and without disturbing the roots, placed into a shallower container.